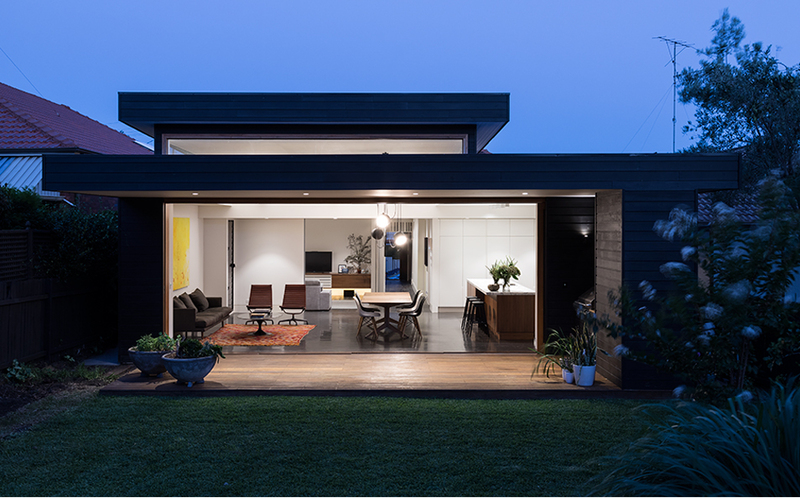 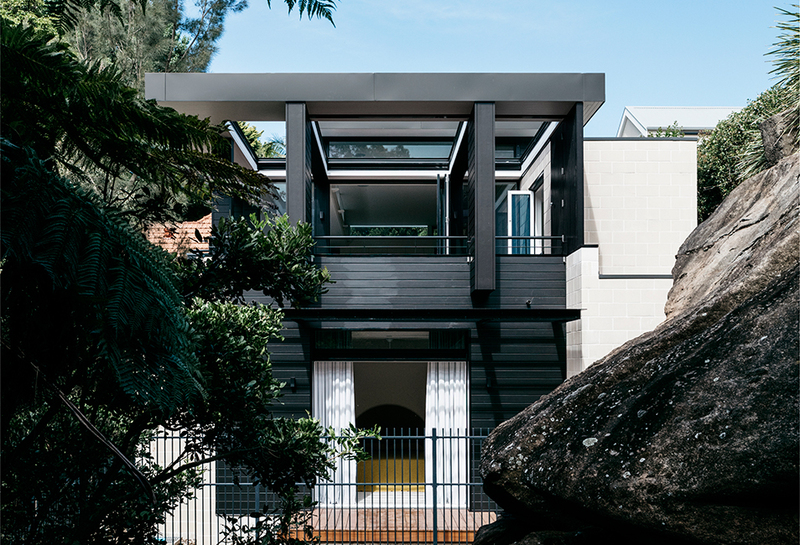 This new house in Mosman features two pavilions placed around a protected courtyard. 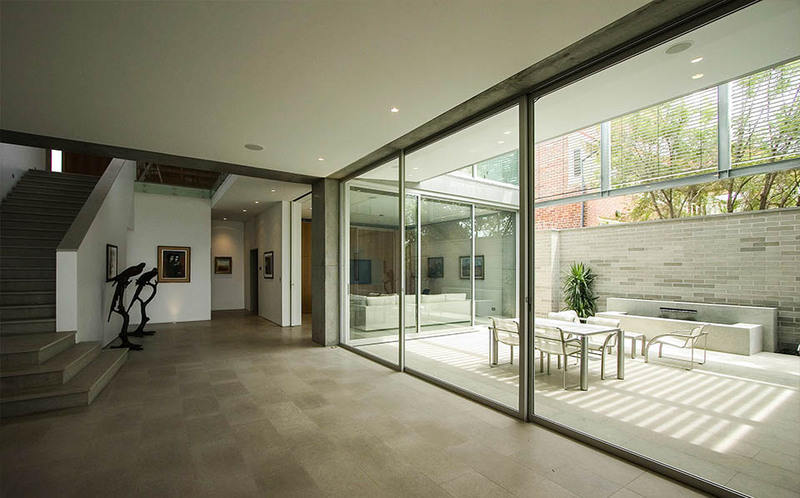 The courtyard provides both ventilation and natural light to flow through the house. 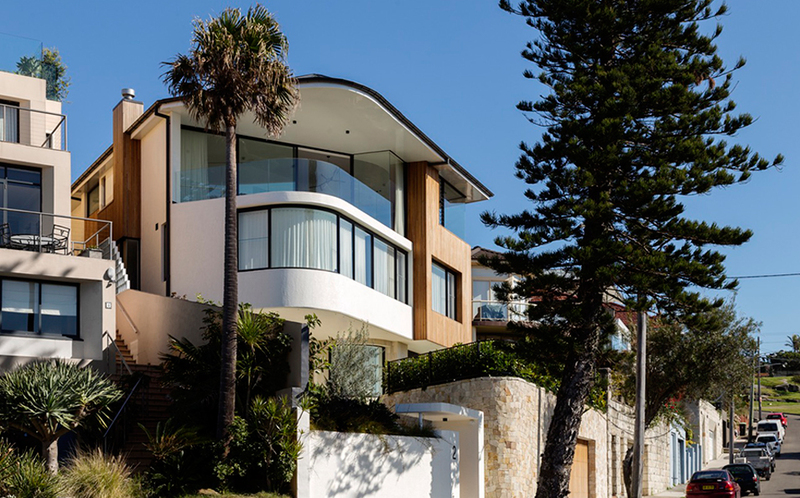 The zig-zag saw tooth zinc roof creates an interplay of light through the central space. 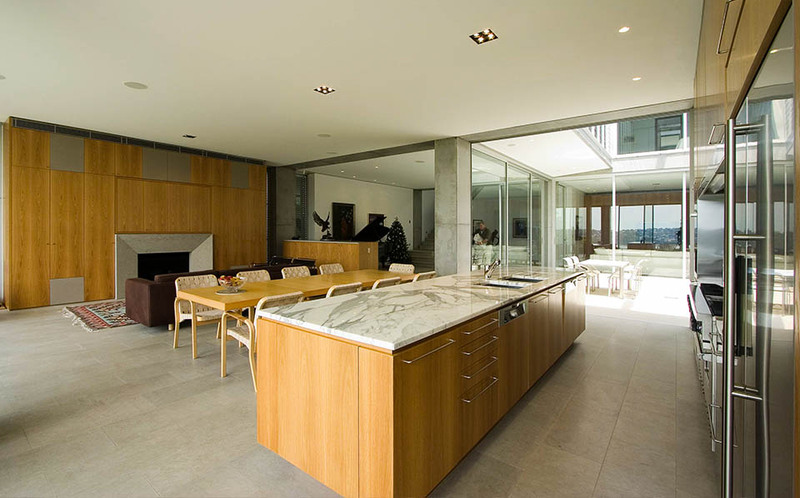 The house consists of a combined living, dining and kitchen area, home theatre and service areas on the ground floor. 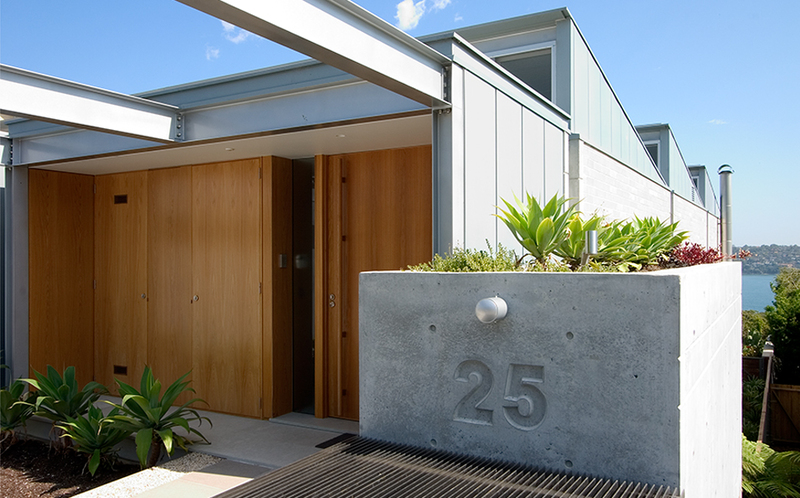 Three bedrooms, study, garaging and entry are contained on the first. 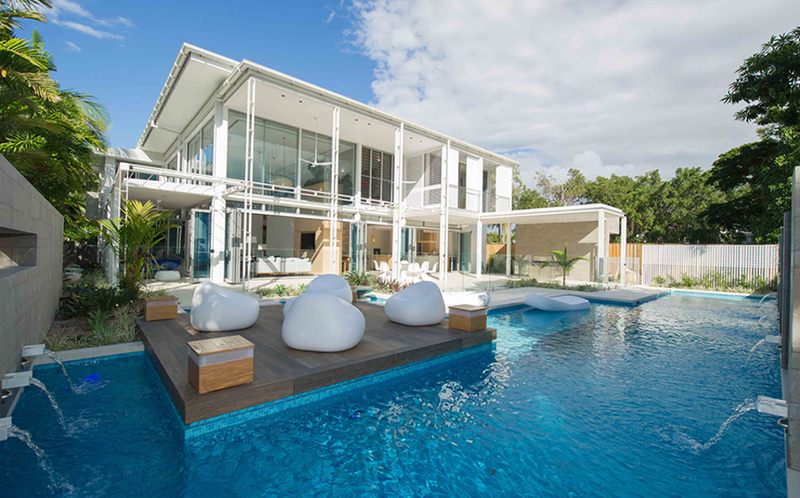 A pool, spa, cabana and bbq terrace is located to the rear of the property. 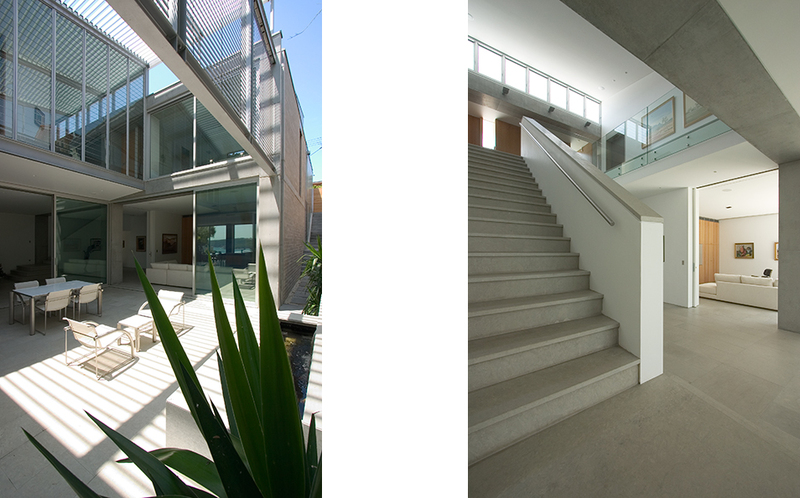 The structure consists of an exposed off-form concrete frame. 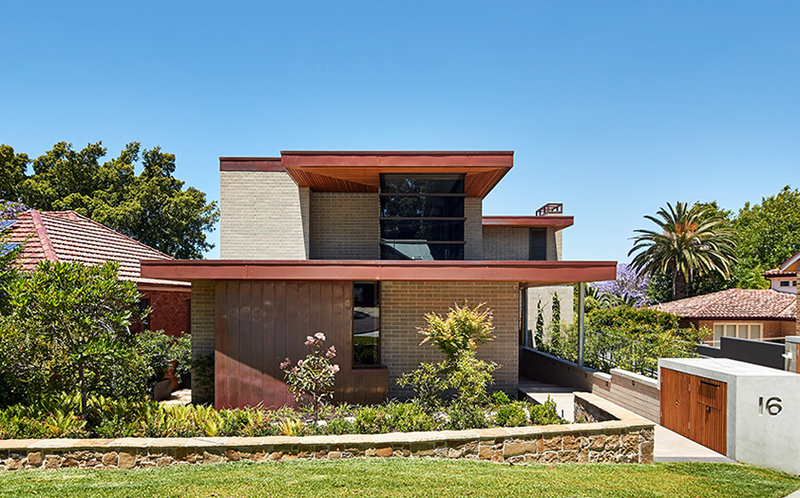 External walls were constructed with expansive concrete blockwork whereas the interior featured plaster walls, American oak joinery, and grey limestone floors. 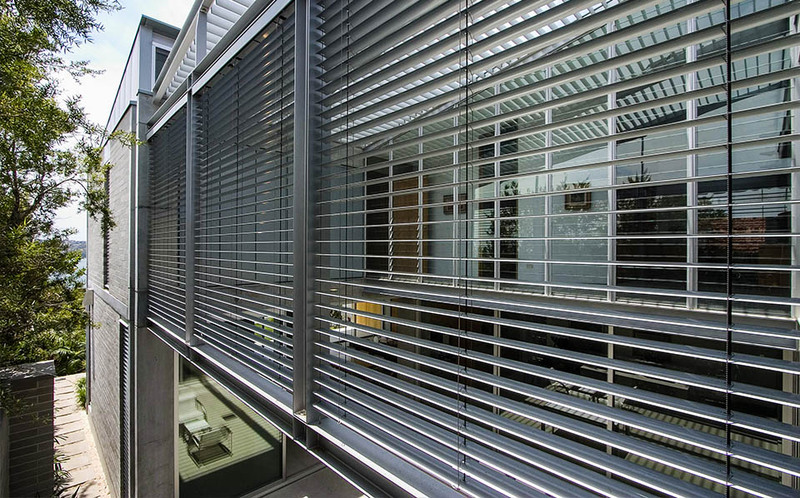 Aluminium windows and louvres were used together to control sun access and ventilation.